OLD PARKED CARS. : 1980 Toyota Celica. Sad, looks good! Looks like all it needs is a good cleaning but it must be on the lawn for some reason. 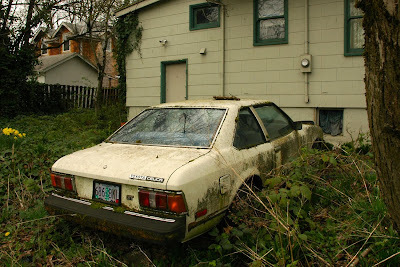 that celica has a sad look on it's face it says RESCUE ME!! looks like it has little to no rust just too much moss. it's been parked since o7'that's 5 years of just sitting. it's a shame that the owner lets it just rot. the owner should sell it even if it doesn't run, the owner could probably get at least 500 and even more if it does run. that's money in the pocket for the seller and a awesome second gen celica gt fixer upper for the buyer. Pop a new battery in it, give it some fresh gasoline, and I bet it will start right up! It may take a while to rid the interior of the awful smell of mouse urine, though! Anon2 summed it up perfectly. 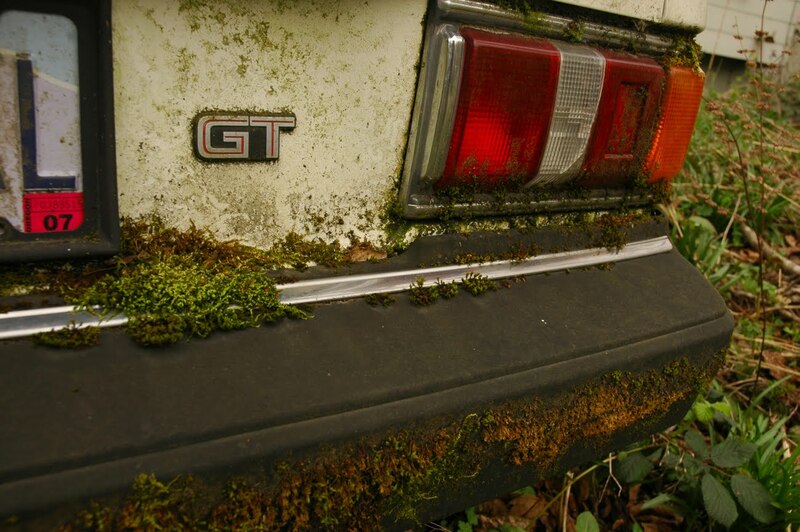 Man, look at all the moss/lichens on that baby. I'm going to assume the house is abandoned too. i am from Pakistan, i wanna buy it, how can i contact the owner. I'm interested in buying this Celica, my number is 805 982 0875. 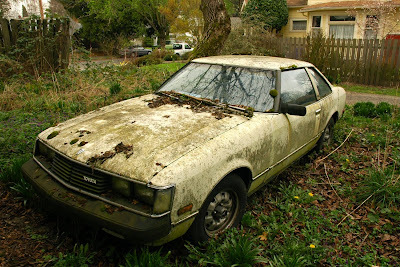 That Celica is toast, if it sat on grass for years. Anyone who wants to buy is a damn FOOL. That frame is rotted, plus being a Japanese car from the 70's-80's, it is fragile and rusty. 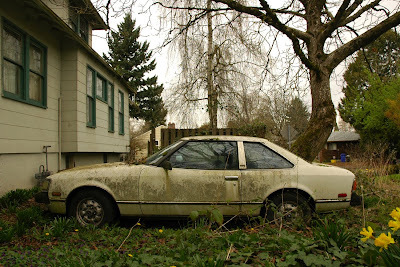 Trust me, I bought an 85,000 original mile 79 Mazda RWD 626 coupe. I bought for $25...Too good to be true? Yep, it was fun to drive and reliable as ever, but once I hit a few potholes, the frame started to develope splits and cracks, that were unrepairable due to the frame rot of sitting on grass for 8 years. Be smart, save up for a mint one, your wallet and time will Thank you.